To install vinyl decking properly so you can go from an old beat up deck to this smooth perfectly watertight surface is harder than it looks. 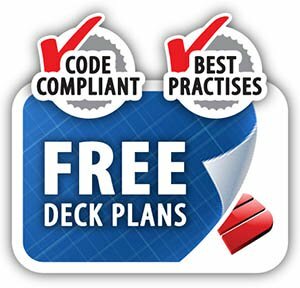 How could resurfacing an old wood deck with pvc sheet vinyl be difficult? The pros make it look easy, gluing, welding. But this skill requires a lot of practise and finesse to install vinyl decking flat, overlapped, and triple welded for a guaranteed watertight job. And that doesn't include resheeting the deck with plywood and making it perfectly smooth, sloped and with drip edge. Rip up everything to the joists in order to resheet the entire deck. 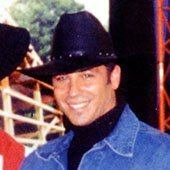 Remove the deck boards. Inspect and fix the joists. Resheet with at least 5/8 G1S (smooth one side) fir plywood and preferably 3/4". 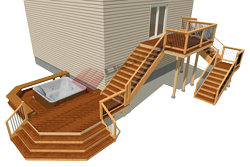 If this is new deck construction its much easier as you just have to frame and sheet the deck. But make sure you have at least a 2% slope. That is about 1" over four feet. Glue and screw the sheeting down. 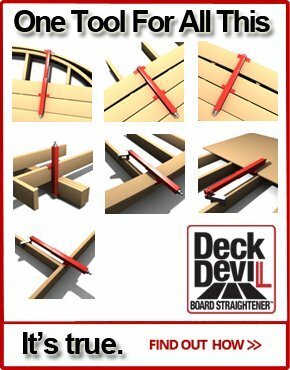 This is very important step for a vinyl decking installation. PVC sheet vinyl is anywhere from 40mil to 60mil thick. So it is very easy to see any bump or depression from the deck through the vinyl. This is especially true in certain light conditions. 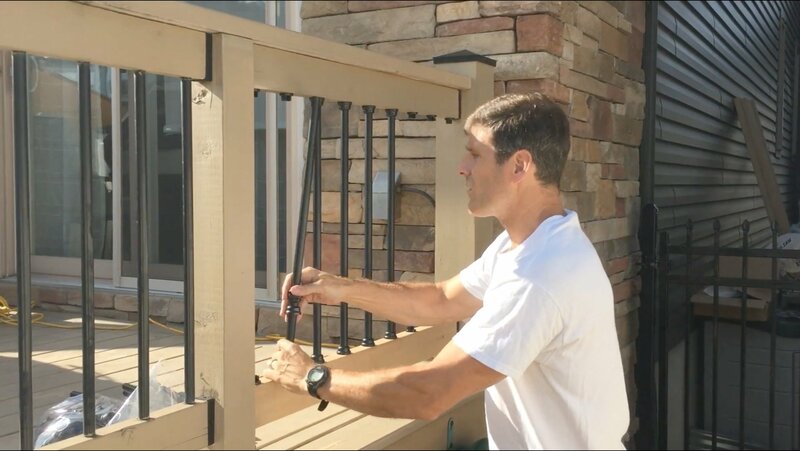 Metal drip edge is one thing you have to install around the entire perimeter of the deck. This picurue shows the bull nose before the drip edge is nailed over it. Drip edge allows the water to drain over the deck and drip freely to the ground. 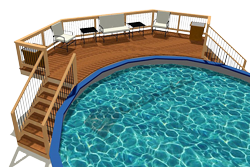 If you don't intall it, the viscosity of the water ensures that is dribbles down the fascia of the deck leaving a track of dirt, mildew and staining over time. It looks awful and it also contributes to premature rotting and wear and tear on the deck. Just tack down the drip edge with flat head galvanized nails. You will trowel leveling cement over this later leaving a completely smooth surface for the glue and vinyl to adhere to. Cement floor leveling compound is the trick to a perfectly level deck. Mix up a small amount of this fine portland cement mix. 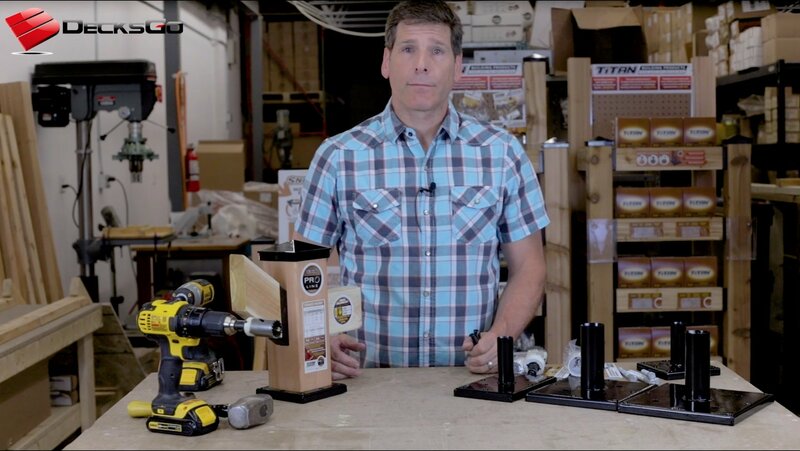 You want it to be fairly liquid so that it naturally self levels any depressions, knot holes, nail holes etc. Use a 12" wide trowel and pay particular attention to the ground down areas between the sheets of plywood. 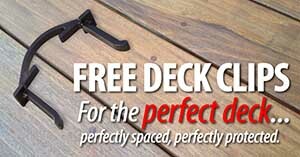 Once it cures you are ready to install vinyl decking membrane over top. 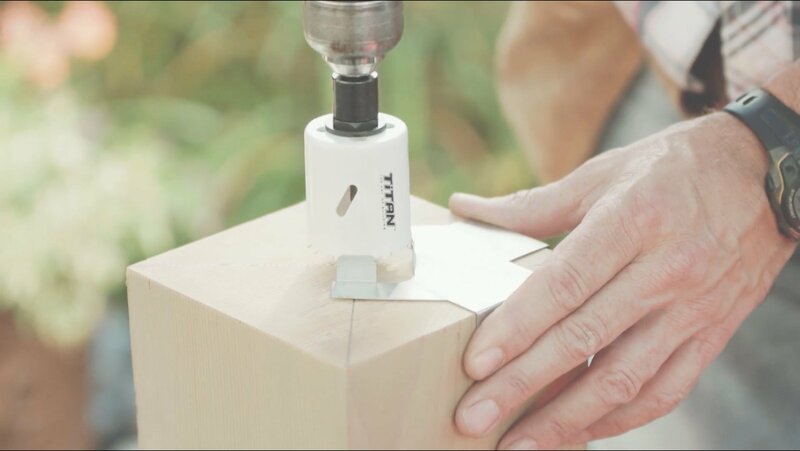 Apply glue generously over an area equivalent to one sheet of vinyl material at a time. You should snap a chalk line across the deck marking where the glue extends to. You want to have enough vinyl that it drapes over the drip edge by at least 1" to be safe. Latex glue specifically designed for installing vinyl decks is required or a solvent based contact cement. But to be honest contact cement is trickier. You have to apply it to both the deck and the back of the vinyl. Then you have to use a rolling technique that takes practise to gradually roll out the vinyl over the tacky glue without trapping air bubbles. It's much easier and just as effective to apply the glue as shown here using trowel. Sounds simple but you don't just "roll it" out. The best way is to install vinyl decking membrane by folding it in half along its length and then lining up one side along the chalk line. Once you know the edge is in line with the chalk, you can then slowly roll or fold over the vinyl on a bit of an angle. Move slowly down the length of the vinyl ensuring it goes down flat and apply equal pressure to ensure full contact and no air is trapped. 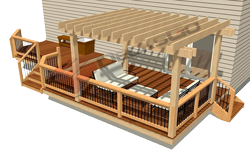 Each course of vinyl decking material is overlapped by 1/2". 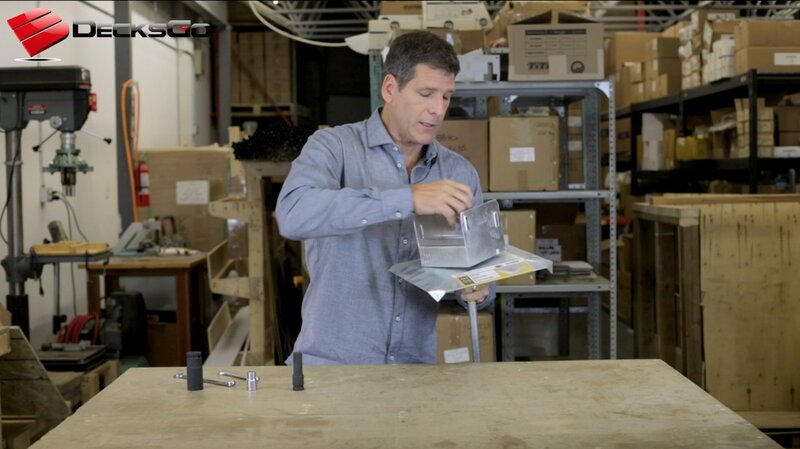 Triple welding of the over lapped seams ensure a waterproof seal. This first pass fuses the edge of the lower sheet of vinyl with the underside of hte top sheet of vinyl. This second pass then fuses the entire 1/2" over lapping surfaces of the vinyl membrane together. The top side of the lower sheet and the underside of the top sheet of vinyl are now one piece. This is the final pass which joins the finished edge of the exposed cut edge of the top layer to the lower layer of vinyl. It is as much for show and proof of the skill of the installer as it is for water protection. All of this welding requires a lot of skilll and experience. It is so easy to over heat the vinyl and burn it leaving black spots which permanently mark the vinyl. That's why I say, don't every bother trying to do this yourself. You will regret your decision. Trust me. 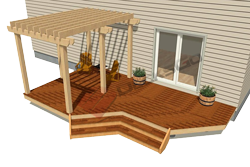 You now should have a very good understanding of how to install vinyl decking. But don't install it yourself. This is just to help know how it works. Let the pros do it.